Pear Point Inn Our records show that this inn is closed. Westwinds Bed & Breakfast Our records show that this inn is closed. Orcinus Inn Our records show that this inn is closed. The Farmhouse B&B Our records show that this inn is closed. Friday's Our records show that this inn is closed. Mariella Inn & Cottages Our records show that this inn is closed. Tower House B&B Our records show that this inn is closed. Collins House Our records show that this inn is closed. Blair House B&B Our records show that this inn is closed. San Juan Inn B&B Our records show that this inn is closed. Moon and Sixpence Our records show that this inn is closed. Duffy House Our records show that this inn is closed. Arbutus Lodge Our records show that this inn is closed. Halvorsen House B&B Our records show that this inn is closed. Jensen Bay Bed & Breakfast Our records show that this inn is closed. Honey Lane Farms Our records show that this inn is closed. The Dragonfly Inn Our records show that this inn is closed. Friday Harbor Bed & Breakfast Our records show that this inn is closed. 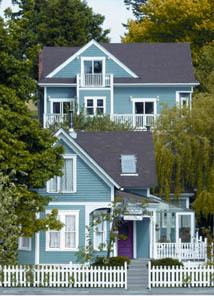 Friday Harbor bed and breakfast travel guide for romantic, historic and adventure b&b's. Browse through the iLoveInns.com database of Friday Harbor, Washington bed and breakfasts and country inns to find detailed listings that include room rates, special deals and area activities. You can click on the 'check rates and availability' button to contact the innkeeper. Friday Harbor is located on San Juan Island in Washington and it is the commercial hub of the San Juan Islands. A resort community, Friday Harbor boasts of beaches and hiking trails, as well as scuba diving opportunities. Considered as one of the premier vacation destinations in Washington, Friday Harbor is one of the best places to do some animal watching. It's such a small island but you will see an abundance of wild animals including wild turkey, fox, rabbit, raccoons, bald eagles, herons, deer, swans, hawks, hummingbirds, and woodpeckers to name a few. Hiking is more enjoyable for many because of the absence of snakes and bears.Visit the Whale Museum, the Lime Kiln Point State Park which is also known as the Whale Watch Park because that is where you can spot minke and orca whales. Stay at any of the Friday Harbor bed and breakfast inns. By Bird Rock Hotel.